SupraPolix develops specific polymer based solutions for its clients, thereby building on its SupraB™ materials portfolio, and on its expertise in making the SupraB™ technology work. Current technology areas include adhesives, coatings, self-healing materials, cosmetics, and biomedical materials. SupraPolix offers initial access to its SupraB™ technology by performing feasibility studies dedicated to specific polymeric materials and application areas. These studies not only give a quick answer to the technological possibilities, but also create an excellent opportunity to lay down the basis for further more in depth collaboration. The use of SupraB-materials in commercial applications is governed by license agreements that regulate access to SupraPolix’ extensive IP-portfolio and that may include the supply of the SupraB-ingredients or polymers. SupraPolix is continuously expanding its portfolio of supramolecular materials modified with SupraB by in-house research and collaborations with industrial partners. 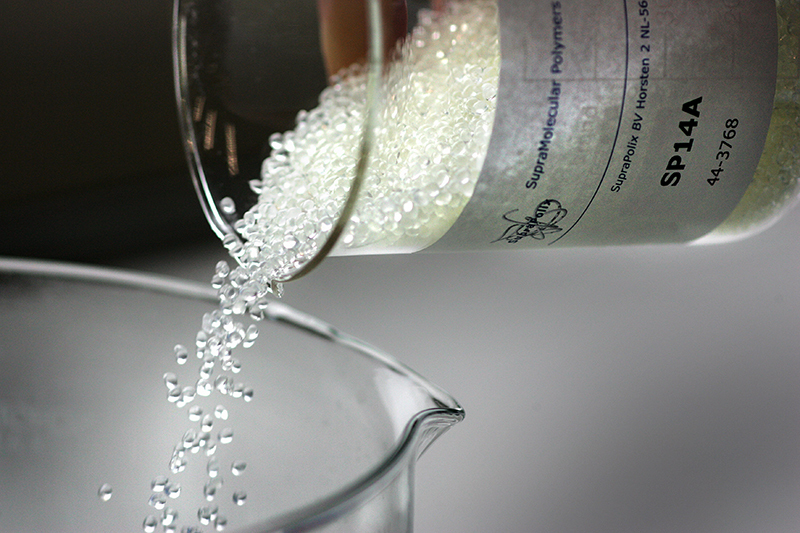 Currently, SupraPolix has a manifold of linking strategies at its disposition to implement SupraB in industrial relevant polymers, resulting in a comprehensive library of supramolecular polymeric materials based on different industrial polymers, having a range of polymeric architectures and chemistries. Consequently, SupraPolix’ technology platform is able to serve a many different markets because the diversity of our approaches guarantees the applicability in a variety of existing polymeric products. of interest. Outsourcing to SupraPolix results in a reduction in your R&D-expenses and gives you the means to grow your R&D efforts in a flexible way, ensuring the continued generation of innovative products.